Since we're in the middle of Silicon Valley, it would only make sense to see a little bit more tech incorporated into at least a few restaurants. I think we should be at the cutting edge of innovations in dining tech. A great example of a restaurant that blew my mind in London is called Inamo. Above each pair of seats is a projector and each table has little touch-pads in the corner. You use the pad to order all of your food, request drinks, pay for the meal, customize the background of the table, and even do things like play video games or view a subway map highlighting bars and nightclubs to go after your meal. As you're flipping through the menu, a picture of the food you are thinking about ordering is shown on your plate... pretty damn cool. You can even pull up a video screen of the kitchen to watch the chef make your meal. 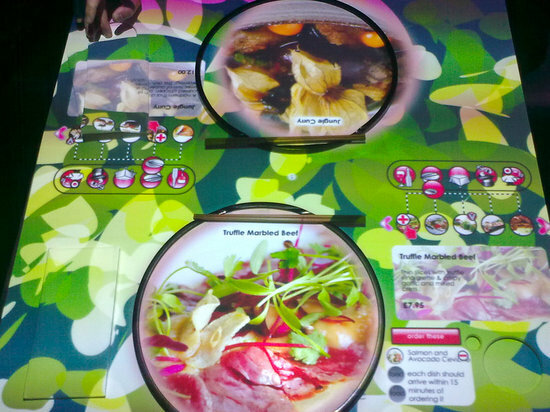 This was one of the most innovative restaurant concepts I have ever seen, and the tech really isn't that complex. I would love to see new concepts like this in San Jose that better incorporate technology into dining and innovate on the whole experience. 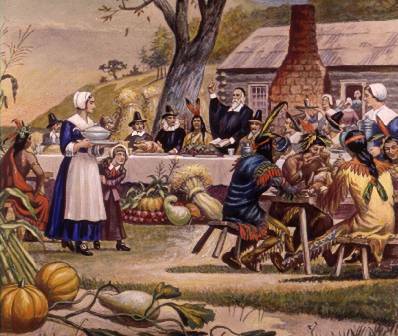 While food has evolved over time, the dining experience itself is not much different than it was decades ago. Inamo really took it to the next level, and I'm hoping some aspiring restauranteurs try to one-up them in the valley. It looks like the Earthquakes filed some new sketches for their stadium with the San Jose Planning Department. It's supposed to take a year to build and be ready by 2013, so it should be breaking ground sometime in 2012. Future phases will also include retail, offices, and housing in the area near the stadium. Thanks to the good folks at the San Jose Development News Forum for the tip. Click the image below to enlarge. Well this is interesting. A while back a few people reported that there was some activity going on in the old Tied House space. It turns out that they have converted the space into offices for an advertising company called Blackarrow (which also has offices in New York and Philadelphia). While I would love another flagship restaurant here, offices are much better than an empty space. Tons of Downtown San Jose Restaurant List Updates! It's been less than 2 months since the last update to the to the Downtown San Jose Restaurants doc, and there have already been a large number of updates and additions. First and foremost, we are now up to 215 eateries on the list!!! I'm also aware of 11 places that are under construction and should be ready by the end of Q1 2012. As for my mission of going to every restaurant in Downtown San Jose... I'm currently at 194 / 215 (90%). 11/23/2011 I added an asterisk (*) next to my favorite restaurants. These are all places that bring something unique and exceptional Downtown. 11/26/2011 Added Miro's on 282 Almaden. Here's a nice statistic for you. Unemployment for the San Jose Metropolitan Area dropped from 9.6% to 9.5% in October. This compares to a rate of 10.8% around the same time last year. The current unemployment rate for the state of California is 11.2%, which means we are well below the average. This is a good indicator that the local economy is starting to recover. The Usuals All Black Friday Sales! This Black Friday, why not support something local and awesome. The Usuals is the only clothing store I know that throws frequent parties for patrons with live music and features rotating local art on the walls. They are also one of two locations that sell I<3SJ shirts! Come get your local grove on at The Usuals then head over to the after party at Motif. San Jose-based Intermolecular had a $96 million dollar IPO last week. They do research and development for the clean tech and semiconductor industries. Their headquarters is on North First Street near Montague Expressway. Looking for a healthy way to start your Thanksgiving before pummeling through thousands of calories? Look no further than the annual Turkey Trot in Downtown San Jose. It looks like they have something for everyone: 5K Run/Walk, 10K Run, Celebrity 10K, Wheelchair 10K, and more. The best part is that proceeds go to charity. For more info and registration, just click here. On W. Santa Clara Street, near the Hwy 87 overpass. Please start by lining up at the correct starting time for your distance. Then line up according to your mile pace with faster runners closer to the start line and those with strollers at the end. Why: In the past 6 years we have donated over $1.5 million to three local charities. This year, our goal is to donate $500,000 to the 3 awesome charities! Plus its a great way to start the day and get ready for a lot of eating at Thanksgiving dinner. How: Participate by registering, volunteering or donating to the event. If you are registering, remember there are many categories you may qualify for and would be fun for you to possible win a certain category. Check out our timed and non-timed categories for more information. Who: You! Your family, friends, colleagues, and neighbors. The more the merrier. Over the Influence - Wadl Wadl from Cinepixtor Media on Vimeo. I am finally getting around to putting together a list of San Jose companies that are making CONSUMER products (not business products). This is easier said than done because most companies in San Jose are focused on making products for other businesses. For everything I buy these days I'll always look up where the company is headquartered and try to buy as close to San Jose as possible. This maximizes the amount of money that will feed back into our local economy. The list includes companies like Adobe, Netgear, eBay, and Orchard Supply as well as a couple smaller companies that may one day change the world. A great example is Switch, whose product is pictured below. 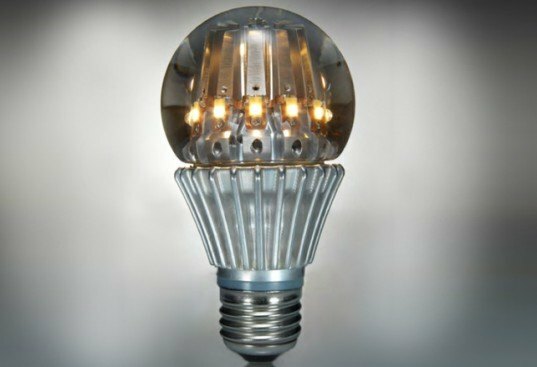 They created the most advanced light bulb in the world, a liquid-cooled LED bulb that produces the exact same type of light as an incandescent using a fraction of the electricity (even less than compact fluorescent bulbs). I also created a tab called "Almost SJ Consumer Goods" for companies that are located in Santa Clara County, but not in San Jose. It's a short list because I haven't done as much research on these, but am expecting to add many more in the future. To access the document click the "Shop San Jose" link on the right menu or click here. Also, if there are companies you would like to add to the list just post in the comments. 1.) 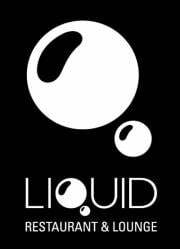 New Restaurant Alert: Liquid is now open a 32 S. Third. It looks pretty damn nice inside and the menu is solid. I would describe it as Asian fusion. 2.) 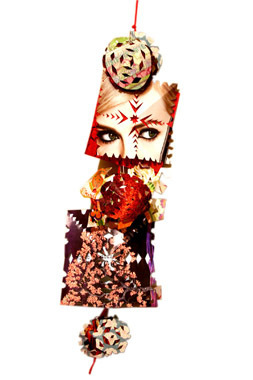 They are looking to incorporate local art, which is a great new trend Downtown. 488 Cafe--which just opened on the ground flood of the Sobrato Tower--is also showcasing a substantial amount of local art. I hope this trend continue for a long time to come. Liquid Restaurant & Lounge is all about "new." We are, in fact, the newest hotspot in Downtown San Jose. We draw in a wide array of people ranging from 20-somethings to 60-somethings. We focus on maximizing the feeling of euphoria when guests come in to experience Liquid. Hard work and passion has been put into designing and creating the perfect atmosphere where people can enjoy not only their delicious meal from our full lunch and dinner menu and drinks mixed to perfection from our full bar, but also the carefully selected music choices and LED projected lights throughout the walls. If interested, please contact My Pham to arrange a walk through and to discuss details. The Fairmont San Jose has big plans this holiday season. On Friday, December 2nd they'll be having a free event featuring two giant chocolate nutcrackers, a Gingerbread Village created by Bijan (Bijan Bakery), Leigh High School's marching band, Ballet San Jose, and Los Merry Mariachis. This is the largest public holiday event I have ever heard of the Fairmont doing, so hopefully they will make this an annual tradition. Downtown San Jose is the top Christmas destination for the entire Bay Area, and we need more events like the one below to help keep it that way. We lost the Holiday Parade for 2011 (one of the largest parades in the US) and Christmas in the Park is at risk, so this is really the year to go out and support our Holiday events to make sure they come back next year! SAN JOSE, CA - November 2011 – Are you starting to hear those sleigh bells jingling? Well, we surely can from where we are decorating. Downtown San Jose’s Christmas festivities, which include the tradition of “The Christmas at the Park,” and the Downtown Ice Skating Rink, can both be found at the area’s premier holiday destination – The Fairmont San Jose hotel. This holiday season, the hotel, already known for its scrumptious Easter and Mother’s Day Brunch, will host several elegant dinners and brunches to celebrate Thanksgiving, Christmas, and New Year’s Eve with Fairmont flair. In addition, The Fairmont San Jose hotel will be ringing in the season with a special holiday celebration for the community on December 2, 2011. Starting at 7 p.m., hotel guests locals, and those in neighboring cities can experience a great expression of holiday cheer, as our luxury San Jose hotel’s Executive Pastry Chef, Fernando Arreola, unveils two Giant Chocolate Nutcrackers. Bring the entire family to this complimentary event and you’ll be greeted by the Marching Band of Leigh High School, as well as the amazing Gingerbread Village created by Bijan, of Bijan Bakery fame. Afterward, guests can dance in the lobby lounge to the sounds of Los Merry Mariachis and take in Ballet San Jose’s rendition of the holiday classic – The Nutcracker. As the evening comes to a close, guests can sip hot chocolate and listen as the Harker School Choir serenades them. Start a new family tradition at our San Jose hotel – and enjoy a fun-filled evening you’ll remember all year long. 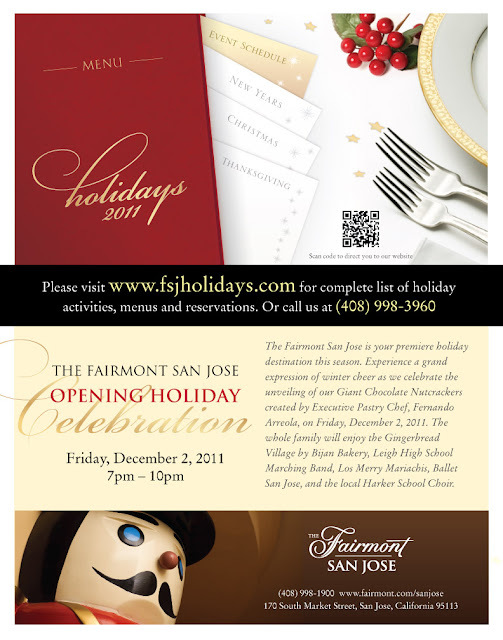 For more holiday information, visit www.fsjholidays.com or www.fairmont.com/sanjose. Very interesting event below involving History San Jose, Satori, and the San Pedro Square Market. This will feature what used to be Manny's Cellar in the basement of the historic Fallon House. The tradition of History San José’s annual Heritage Holiday Tea and Tour will be held this year in the area of the new San Pedro Square Market at the Victorian-era Fallon House. The lower level, formerly Manny’s Cellar, has been restored and will be transformed into a holiday tea room for the Saturday, December 3 event. The Heritage Holiday Tea continues the annual tradition of tea and this year includes champagne, tours of the Fallon House, built in 1855, and of the Peralta Adobe, built in 1797. Located just a stroll across the street from the new San Pedro Square Market and performances by the Liberty Baptist School Band and Choir. Satori Tea Company will present a special blend especially for the Heritage Holiday event consisting of peach, plum, apricot, black tea and flower petals. Named ‘Valley of Hearts’ Delight,’ the tea be will accompany a gourmet catered light luncheon, and also be avaliable for purchase. Guglielmo Wines will provide the champagne served by Shady Shakespeare in the garden while greeted by The Lyric Theatre Carollers. Throughout San Pedro Square Market will be traditional holiday activities and vendors, old and new alike. The Master Gardeners of Santa Clara County will demonstrate wreath-making, The Spinners will be spinning yarn, the Lace Museum will host demonstrations of lace-making. Former Mercury News artist Jim Hummel will be on hand for a book-signing of his latest children’s book, San Jose, California: The Place Where People Help Dreams Come True. The $45 ticket price, (HSJ members $40) will include tours and a gift bag with specials and discounts from the newly-opened market and Satori Tea Company. Parking will be free in the lot adjacent to the Fallon House, and street parking is free on Saturdays. The Fallon House Historic Site is located at 175 West St. John Street in San José. Tea times are at 11 a.m. and at 2 p.m. Ticket price includes tours of the Fallon House and the Peralta Adobe. Make checks payable to History San José and mail to 1650 Senter Road, San Jose, CA 95113 or call Juanita at 408 918 1045 or email her at jlara@historysanjose.org. Here's a unique idea coming out of Mexico city that may allow Downtown San Jose to have 60 story buildings despite the proximity to the airport. The idea of an inverted skyscraper sounds crazy, but the mockups from the short video below are pretty amazing. 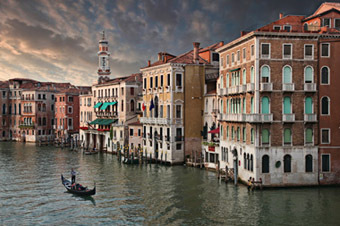 Imagine something like this under St. James Park or Plaza de Cesar Chavez. 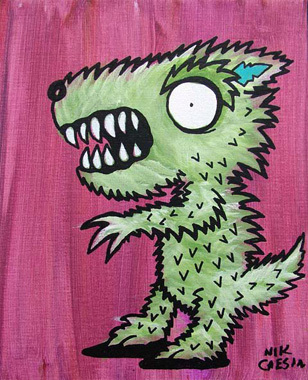 Live painting, Music, Demos & $2 Art Sale this TUESDAY at KALEID! 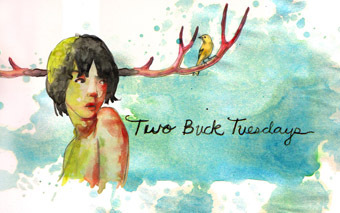 Join us at KALEID Gallery for this upcoming Two Buck Tuesday! Come enjoy an inspired evening of art demos, performances, live painting, scrumptious tastings, $2 art & quirky people get together! Far out music by Tim Thompson! Space Palette is a musical and graphical instrument created by Tim Thompson that makes use of the Microsoft Kinect, a 3D camera. 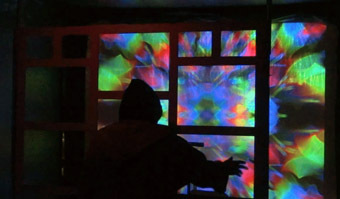 Standing in front of a wood frame, you wave your hands and "paint" both music and projected visuals. Any number of hands can be used simultaneously, so you and your friends can use it together and become an instant band and light show! Calligrapher Cari Ferraro will demonstrate these scribal secrets, working with inks and color on paper, from medieval styles to contemporary experimental lettering. She will have on hand a variety of tools to form different styles of lettering. A free sample of calligraphy (one or two words) for all who attend. Extra samples can be done, time permitting, for $2 each. Come and witness the archaic art of beautiful writing. 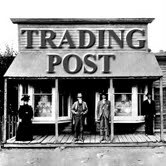 Give&Take Trading Post with Lara Sophia! Bring a small item you don't want anymore to trade with another item on the table! Suggested items include, but are not limited too: books, seed packets, small art supplies, non perishable food items. Trading only, No drop offs. 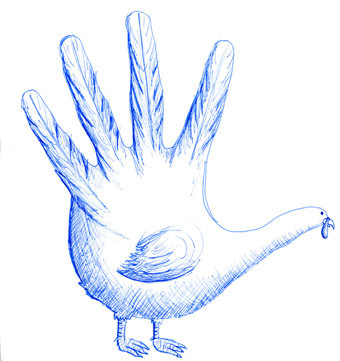 You all remember this project from elementary school: trace your hand, then add a beak and feet to create the traditional Thanksgiving bird. Revisit this classic art activity with tips from local artist Laura Callin Bennett. Gear up for winter with cheapskate pals Courtney and Jo Anne as they show you how to make a snow (flake) mobile. Modernize the timeless tradition of cutting snowflakes and string 'em up into a lovely hanging decoration. Free! 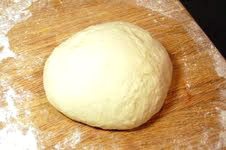 Play with some home made dough and purchase a bit to take home! Get your hands dirty with ceramic artist Ben Shuts as he shows you the technique for hand building with clay. Our resident portrait artist, David Mejia will draw you while you wait for a small fee! Amber Rogers and Theresa Dunnavant provide delicious sweets and sumptuous vittles for your palette's pleasure! In search of new surfaces to apply my marks, to write my journals, the everyday boxes used as packaging for products that we consume, are becoming my canvasses. 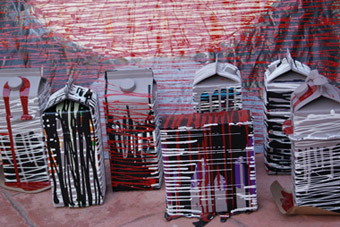 the box is a canvas when it is disassembled or not. Each day I wonder what photographic surprises await me. When I focus on an area, I look for what I would like to see if it were a perfect world, creating the ideal, capturing the basic beauty and enhancing its drama. Would YOU like to show off your talents at Two Buck Tuesdays? Let us know! For those of your who still have not attended a Dishcrawl, it's pretty much a foodies dream. You get to sample food at 4 different restaurants and often get to meet the chef behind the food. We have had many Dishcrawls in Downtown San Jose, but tomorrow is the first one in Willow Glen. My intention was to plug this event, but it's already sold out! In addition to doing their epic 4-round Dishcrawls, they are also doing special events at key restaurants throughout the Bay Area. It is absolutely worth trying out. I have done many Dishcrawls and have never been disappointed. 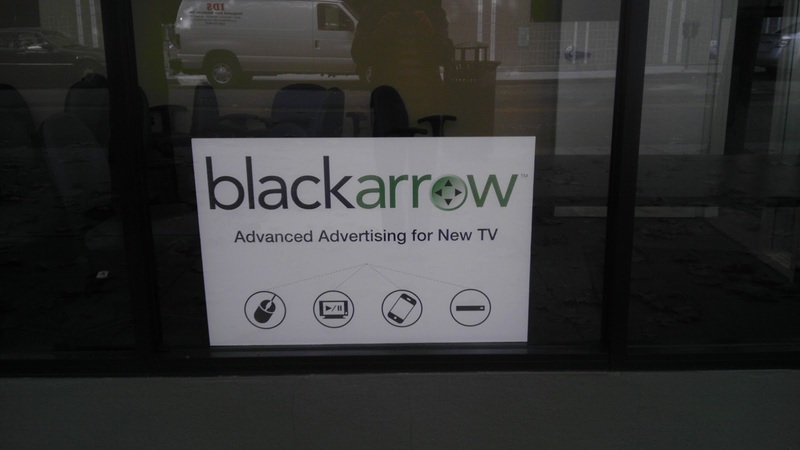 As a side-note, the company is headquartered in Downtown San Jose! ArtObject is a really cool 2,000sqft gallery in Japantown. They are doing an opening reception for their latest exhibit this Friday from 6pm-11pm. Well worth checking out! Eight of San Jose’s exquisite contemporary painters will be exhibiting at ArtObject Gallery, 592 North 5th Street San Jose, from November 18th through December 16th. With an opening reception on Friday night November 18th from 6:00pm to 11:00pm. Michael Buscemi and Karen Ehlers have invited Ben Alexy, Christopher Elliman, Ema Sintamarian, Jason Adkins, Jeanne Vadeboncoeur, and Matt Serna to exhibit with them at ArtObject. “Belly of the Beast” Ben Jonson wrote "Batholomew Fair" (1614): "What do you say to a drum, sir? 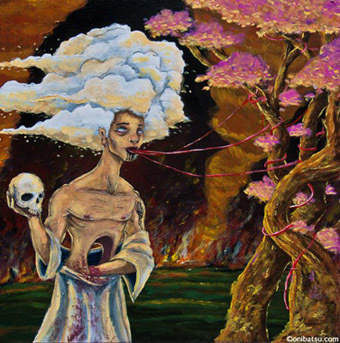 It is the broken belly of the beast, and thy bellows there are his lungs, and these pipes are his throat, those feathers are of his tail, and thy rattles the gnashing of his teeth". This is an exhibit of paintings selected by painters. The belly reflects the work that goes on in our studios (at times we are all in the belly). We painters sing with our brushes and sometimes paint with our teeth. We rattle the bushes in our lonesome pursuit. With much work behind us, we sometimes strike moments of genius. 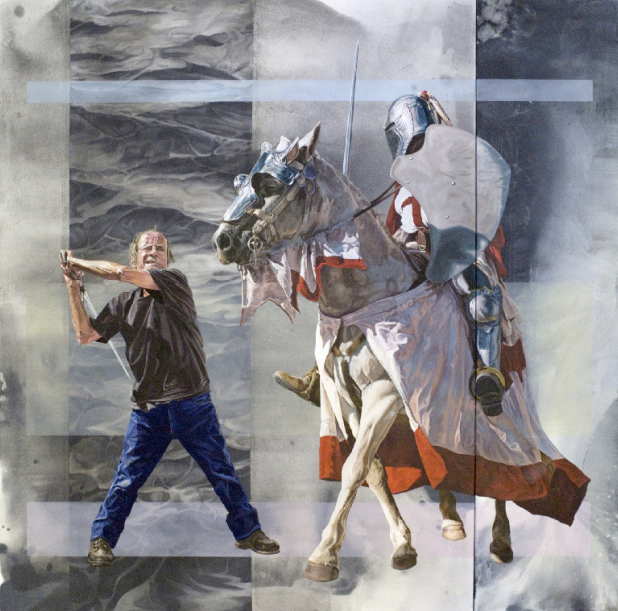 Please come and write about this truly passionate collection of paintings. Yet another daily nonstop flight to Hawaii will coming to SJC starting April 10th. This one is direct to Honolulu, the most populous city in Hawaii. This will be Alaska Airlines' 9th flight to Hawaii out of San Jose. SJC also has direct flights to Maui, Kauai, and The Big Island. For more info, click here. SJ Ranks #6 for "Best Cities to Live In Without A Car"
This is becoming a little less hard to believe as I see more and more articles ranking the San Jose area highly when it comes to transit. While our walk score is not that great (with the exception of Downtown), our transit coverage is the 3rd highest in the country, service frequency for our 100 bus routes averages 6.9 minutes, and 58% of jobs are reachable in 90min using transit. With BART and BRT (Bus Rapit Transit), these figures will likely only improve over time. Click here for more info. Thanks to Ryan for the tip! Join the United Veterans Council as they present the 93rd annual Veterans Day Parade on Friday, November 11, in downtown San Jose. The event will begin with an Opening Ceremony at 11:00 am at Plaza de Cesar Chavez followed by Northern California’s largest Veterans Day Parade at noon. The parade to honor all the brave men and women who served or are currently serving our country will begin at Delmas and Santa Clara Streets near the HP Pavilion and travel east to Market Street, ending at San Carlos Street. So come to downtown San Jose, grab some real estate along Santa Clara Street, and show your patriotism and honor our vets. SPUR (the SF Planning & Urban Research Association) is coming to SoFA. They will help in advocacy, education, and research related to urban policies. Downtown Ice is being extended to Jan. 29th, giving everyone more time to enjoy the rink this year! Several historic trolleys will be circling Downtown San Jose during the holidays this year, some of which were used in the Santa Clara Valley in the 1920s and 30s! Rides will be free for most of December. Te city is launching a Shop San Jose campaign to promote purchasing goods and services in the community [TSJB: great idea]. Currently, $1.9 billion is spent by San Joseans outside of our community. The San Pedro Square Market now has 7 open businesses: B2 Coffee, Pizza Bocca Lupo, Vino Vino, Ay.Dios.Mio!, Crewner's, The Showroom, and The San Pedro Square Market Bar. Cabritos Mexican Bistro at 72 S. First is now open and serving home-style Mexican. Mariachi on weekends. 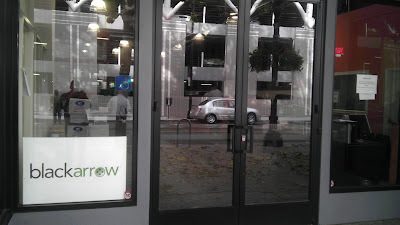 Another greentech energy company moves downtown: Directnu Energy. The San Pedro Square Market has started November out with a bang. Last night the Arclight Theater of San Jose, collaborating with New York’s Tectonic Theatre Company, debuted a play titled "Standing on Ceremony: The Gay Marriage Plays". It was a smashing success. Half of the proceeds were donated to the Billy DeFrank LGBTQ Community Center to support their education and outreach efforts. There was also a great crowd at theSan Pedro Square Market Bar cheering on the San Jose Sharks as they defeated the Los Angeles Kings 4-2 . Calling all ladies! Wednesday November 9th, Kinzie Balfour, the author of Strike Two, a steamy little romance novel, will be at the San Pedro Square Market for a book signing. Come down, bring your girlfriends, and “chick chat” over our custom cocktail called Romance Beckons, specially created for this event. The party starts at 7pm. Come dressed in whatever you like, but Kinzie will be going all out, so feel free to rock your highest heels and slinkiest dress. Why not? It’s ladies night! Come dig into San Jose’s history at the heart of the San Pedro Square Market’sPeralta Adobe. Archeology students from Stanford University will be leading a mock archaeological dig for kids. If your are an aspiring archaeologist, eager to learn about San Jose’s history or just want to get your hands dirty, come Sunday, November 13th from 12pm-4pm, admission is free! We are thrilled to have Peter Yarrow from Peter, Paul and Mary, here, at the San Pedro Square Market for a mini concert and book signing. Grab a bite to eat, enjoy live music, and come meet this legendary artist on Tuesday, November 15th from 7pm-9pm. Free validated parking across the street will be available. Celebrate “San Jose’s Birthday” on November 20th from 12pm-4pm hosted by History San Jose, where they will have music and cake to celebrate the founding of the Pueblo. There will be many more exciting upcoming events, join our mailing list and let us keep you updated on everything happening at the San Pedro Square Market. A mini-Iron Chef battle is brewing for November 19th. 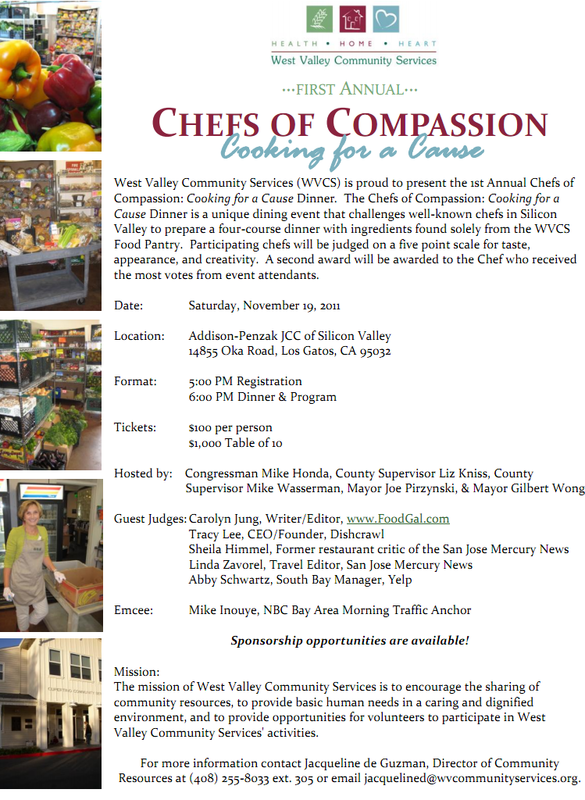 Four Silicon Valley chefs will be preparing a four-course dinner using ingredients found solely in the West Valley Community Services pantry. The chefs include Chris Schloss (Cin-Cin), Calros Sanchez (Parcel 104), Nanci Wokas (Cooking with Class). On the judging panel is Tracy Lee (Founder of San-Jose based Dishcrawl! ), Carolyn Jung (FoodGal.com), Sheila Himmel (former food critic), Linda Zavoral (Travel Editor at the Merk), and Abby Schwartz (from Yelp.com). The proceeds will go to fighting hunger in Silicon Valley. For more information, just click the image below or register by clicking here. The SJDA just celebrated their 25 year anniversary. 1stACT Silicon Valley and ZER01 each secured $500k grants. 1stACT will use the money to transform Gore Park in SoFA into an outdoor living room for the arts. ZER01 will use the money to build the ZER01 Garage in SoFA, which will be a think tank for creatives and host various events and activities. Yogurtland is open at 125 E. San Carlos. Beso Nightclub & Sports Bar is an expansion of Miami Beach Club.